First take a mixture grander in that put curd, green cardamom powder,sugar powder grand it well. Second step put all chopped dry fruits grand it well & mix water in grander. Grand it well. 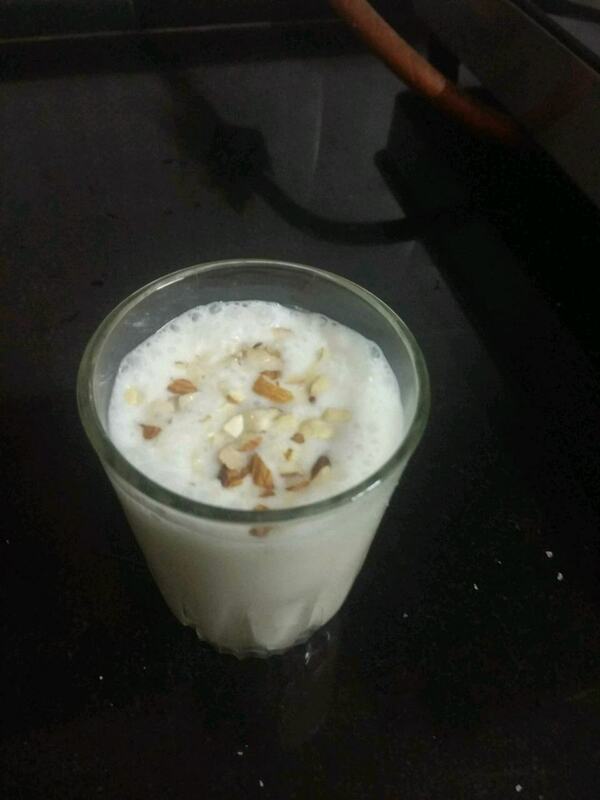 Finally serve in glasses decorate with chopped dry fruits.